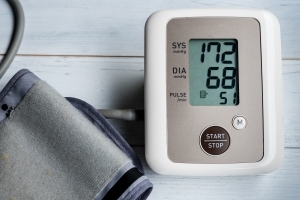 Ambulatory blood pressure monitoring (ABPM) is a non-invasive method of obtaining blood pressure readings over a 24-hour period, whilst the patient is in their own environment, representing a true reflection of their blood pressure. Blood pressure is measured over a 24-hour period, using auscultatory or oscillometry devices, and requires use of a cuff. The monitor takes blood pressures every 20 minutes (less frequently overnight – eg, one-hourly). Who should get a ABPM?